Quite often when we’re trying to make an argument for something we try and score as many points as possible. (Unless that’s just me!) We go for the full on blitz effect and think up as many reasons as we can as to why a particular course of action should or shouldn’t be followed. But we don’t always leave it there. In order to emphasise our point we start adding further justifications, unnecessary ballast. ‘ I don’t think Mary has enough experience to lead this’. The follow on points are weaker than the main point about costs: anyone who wants to argue against you will go for those. They will tell you that when so and so tried it last year they left out a crucial factor, or that the summer is a particularly good time this year because so many people are holidaying in UK, and that Mary will get lots of support from them so can only benefit from the experience. Even though your original point is still valid and true it has lost it’s potency because the others have been steadily demolished! Something interesting along these lines is happening in the public eye at the moment. At the week end a book was published alleging that the Prime Minister was bullying staff. The journalist was very strong in his assertions and claimed he had strong evidence to support his claims. But then somebody else weighed into the argument with a statement that people had contacted them about bullying at Number 10. As I write the government has focussed on this second weaker claim which seems not to have stood up to scrutiny. The maker of the secondary argument has been accused of acting unethically in revealing sources (and I would agree with this- it was a breach of trust). Further revelations appear to have totally weakened her claim as prominent people distance themselves from the charity concerned. And no one is talking about the original claim made by the journalist! The ballast has obscured the original strong assertion. By the way, I make no claims as to whether either was true or not – I have no idea of the truth. I simply think it is a fascinating example of how you can lose focus by trying too hard! This is such an interesting point. In meetings you often find people ‘going off at tangents’ and having to defend things that aren’t even on the agenda. Some people are very good at flinging in a ‘red herring’ and therefore deflect the ‘real issue’. I suppose in addition I would point to the importance of listening. 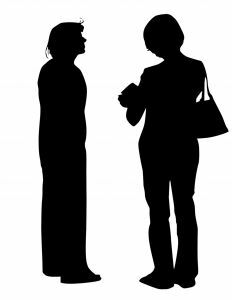 Often if you listen to a point of view, feed back to the person who’s offered it that you’ve ‘heard’ and then make an alternative suggestion, that can be an incredibly powerful way of responding. I find that if people feel they’re being ‘attacked’ they will dig in and defend their view point whether it’s valid or not. however a bit of listening will allow them to feel heard and then listen to other points of view. Absolutely, listening properly is a key skill. Thanks for the helpful comments, as usual! I have just been writing about the same subject, but from a different angle :-), so thanks for the nudge Jane. I notice the tactic you describe is often used by people in relationships, usually to deflect the heat from them for doing something ‘wrong’. It totally undermines the argument and any benefit gained from clearing the air is lost!